YURE MARE MARE MARE...ALI ISHA BABAHOOO! : Why do people go to engineering colleges? "Why do you want engineering?" a professor acquaintance of my high school friend, "Jim" Rajesh, asked him. Dr Devireddy (name changed...because, well, I don't remember it! ), a veteran professor of mechanical engineering, hailed from the maiden batch of engineers of the first Regional Engineering College (REC) ever established in independent India, at Warangal. What did it feel like, at that time, being from the first batch of home-grown engineers, sir? I had wanted to ask the professor. But Jim broke my stream of consciousness. "My mind is calibrated for engineering" he proclaimed sonorously, at the ripe old age of seventeen. His father nodded at him in approbation. Jim didn't get his name cheaply. He had earned it. 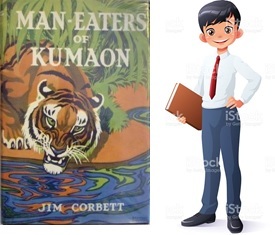 During seventh standard, he had passionately espoused the cause of saving tigers and various other animals, in the process, copiously quoting Jim Corbett and earning his sobriquet, after the author of "Man-Eaters of Kumaon". Jim believed what he said, whether it was about tigers or about engineering. When he made that statement, in the pristine campus of BITS Pilani on a hot monsoon day, after somewhat cavalierly rejecting an M.Sc. course, to eventually take electrical engineering, in REC Kurukshetra, he earned an additional admirer. Me. I had always dreamed of being an engineer. I had no idea why. My neighbor's engineer husband, from REC Trichy, bestowed with multifarious talents other than keeping a steady job, while practicing amateur palmistry on a bunch of bored children, had once, decisively stated that I had the "engineering line", on my right palm, instantly lighting up my dreams. I would look for its whereabouts, often, in the coming years, especially during trying times in third year in college. That line, if it had ever existed, had completely faded away by then. My brother-in-law, an REC alumnus as well, made engineering a fait accompli for me. He warned, nay cursed, me a lifetime of miserable typistry (what? that's not a word?) and stenography, and would onomatopoeically mimic me typing away, "tak-tak-taga-tak-taga-tak-tak, sitting in the Accountant General's office", if I didn't pursue the engineering ambition with singular focus. So, I pretty much stumbled upon engineering, in order to avoid becoming a typist. So, what is your story? Why did you pursue engineering? Was it to uphold a familial tradition? Or were you "calibrated" for it, like Jim? Was it a call of duty from a higher voice, to invent a water pump in your native village like Shah Rukh Khan in Swades? Or was it just for "time pass for four years", as my friend Ajit used to say? 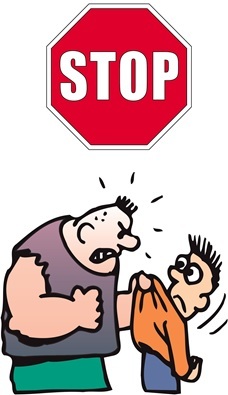 Friends, before you start roughing me up (which is richly deserved in this case), if you are trying to comment on the blog, please login to your google account before you do that (sorry!). Also, copy (CTRL+C, I meant) your comments before publishing / logging in...just in case the comments get lost out. I heard from several of you that it has already happened. Sorry. I am looking for an alternative. It is amazing how things are exactly the same across many parts of India. But agree with your comment on friends for life and memories for seven lives! And why are you called Puttindies ? It's a long story. You don't need to call me "Puttindies". It is just my ID on Google. Question is what else I could do. For whatever reason I was never interested in medicine. And I had just enough marks to disqualify me from doing commerce (which meant arts was out too).. so I had to do engineering .. It seems many of us "defaulted" to engineering - and for completely different reasons and compulsions. But for you, I would have thought sports as one of the choices you would have considered? No? Ok .. I didn't default to engineering .. the day I went to check the results and found my roll number on the famed REC result board , was the most incredulous day of my life . For days after that, my dad use to call me up in the middle of the day and say in urgent tones , that he had received a call saying my roll number had been published accidentally .. I have had a weak heart since .. I guess it all starts with the famed Indian system of education. Students are not taught to think independently, and at times taught not to think independently as well. It is always about what is good for you and not what you are good at. Someone once said if you can choose the one thing that you are really passionate about, follow it up and in fact make it work for you and provide you a livelihood, there you have a successful career. So often, success is defined in terms of fame, wealth, power, position, prestige etc. Unfortunately, how many of us realize that these are only the trappings of success and not success itself? For example, let's say a student tells his parents he wants to pursue "Egyptian History". All hell would break loose! (O.K, that was an exaggeration and just intended as an example. But you get the drift). This is the kind of societal and peer pressure that plays on the minds of most students who complete school and embark on the journey of their life. Nice play of words there Krishna! "not taught...and taught not to"..."good for you...and what you are good at"...so evocative. Reminds of Rajnikant from 'Valli'! BTW, what about you? I thought you were an independent mind even then - and your dad let you be, isn't it? So, you did not choose engineering over Egyptian history due to any family compulsions? Honestly, I wanted to become an engineer only just to secure my future. Coming from a lower middle class family and my father a government servant, you will pardon me for wanting to become an engineer. Fact of the matter is, I had a number of interests early in my childhood and through my adolescence like cricket, books, music and so on. I was quite passionate about cricket at one time. I sometimes dreamt of becoming a writer! I was attending music classes (Carnatic classical) and my teacher, who was a performing artiste with AIR, had high hopes on me! Then my father decided to discontinue the music classes thinking that it was proving to be a major distraction. He had already set his sights on a career in engineering for me. I don't blame him for that. It is generally that stage in your life when you are not mature enough to know what is good for you. This is where the education system becomes important. It should help in identifying the strengths of each student, nurturing creativity and encouraging the student to develop a mind of his own so that when it is time to graduate from school to college, the student has a fair idea of where he wants to be in life. That said, society (inquisitive neighbors and nosey relatives included) and peer groups also play a major role in influencing career decisions. Coming back, well at a certain stage I was convinced that I had to do engineering in order to ensure two square meals a day for the rest of my life. But in which discipline? (As if I had a choice). I ended up getting civil engineering in REC-Rourkela. For some reason, I was not keen on this branch. Maybe subconsciously, I felt this branch was on the lowest rung of the ladder and generally, all losers ended up here! So, I opted for a branch change. I did not choose chemical engineering, it was the other way around. So there I was. And here I am now. I guess this is how it must be with a majority of people. It is the lucky few who get to pursue their passions and also convert that into a lucrative career. I remember my first meeting with your dad:-). It was memorable. Loved his views on life. Well..I was always interested in Engineering. Being from an Army family, I wanted to be in Army corps of Engineers but then I would have been left alone in India as all my family was migrating to US. So Engineering it was. But, if you look back, there were not too many choices that time. We cannot compare today's opportunities with those from that time. No regrets here.. had the best 4 years of my life in college and made friends for life. Lovely Rohit!! I remember the army corp had come for recruitment to our college, isn't it? I didn't apply but I think I didn't meet their minimum height requirement! So, if you were to apply today, what would your career choice have been? Arre .. we should have applied joIntly na.. I could have helped you out with the height and together we would meet minimum weight requirement .. missed opportunity !! Arre, I must have weighed the same as you during college, if not less (factoring for height). I was tiny. The Army would have had an image issue to deal with if they had recruited me. Hmm..I belive, my choice today would still be Engineering. I am very happy with what I do. But, on the other other hand, have not seen any other career paths so I am basically institutionalized. So, Rohit, you were the one! Truly "calibrated" for engineering! Wow .. does this friend of yours have a copyright to this phrase ? I think I am going to use this generously in the remaining of my life .. But seriously ... what a topic for discussion !! Love this ..
Why did I join engineering? Are you kidding me ? That was the only way to prove one was of superior mettle in Rourkela , in 1989 ! There was a grave dignity attached to science in general . But if one got through REC Rourkela , one would automatically acquire a Shehenshah like aura .. I often felt a hushed respect when I prowled on my street .. So ..you get the drift ..? Have you ever thought about how your life would have turned out if you hadn't been in the same class as me! You would have been like a rudderless boat! On a serious note: My kids often ask me what my dream was as a child. They seem to know what they want to be when they grow up. It might change every few years, but they seem to have a conviction and a passion for whatever the current goal is. They want to know if I am doing what I wanted to do as a child. This makes me think and I realize that I never had a dream. I don't remember ever having a thought about what I wanted to be. My goals were in the moment. In each grade, try to do well. In each entrance exam, try to do the best you can. I never even went to tutorials and training classes, which leads me to think I wasn't really trying hard to 'do well' either. As I watched the Olympics, I dreamed of being a star gymnast, or a swimmer. As I watched Cricket, I dreamed of one day captaining the Indian woman's cricket team . As the Nobel prizes were announced, I made acceptance speeches in my mind. But never once did I make even a half-hearted attempt to go for any of these. Since Medicine was not of interest , I only took the Engineering entrance test. I was happy I got in, and took the best available branch. I don't even feel I had peer pressure or family pressure. I think I just followed the highway, staying in the right lane, and content with going wherever the road took me. this before Puttindies (what kind of name is that for a scholar from our prestigious college anyway !).. do really .. just wanted to win the Nobel prize .. wasn't too choosy about the subject .. I think it is a typo and the 'i' should have been a 'u' . A reminder really so he is impeccably dressed as he leaves for work in the morning! a sign of a true scholar who has to be reminded of trivial things. Wow! What ya nice reply, I say. "home for lunch, not be ragged by seniors and be treated like royalty by the otherwise overbearing Lab Assistants "
:-)))). What an idyllic Engineering zindagi!!! And here we were grappling jaundice epidemics, evil professors, 40-hour train journeys, and so on...life is unfair! you forget.... you only had 'evil professors' for 8 hrs a day. Be careful of asking a sixteen year old boy.. "what do you really want to do..."
That's a dangerous question for any age! When you hail from a little town like Burla whose claim to fame is its proximity to the famous Hirakud Dam, the oldest engineering college of Odisha, a medical college and an University, you are bound to be surrounded by people who consider being an engineer or a doctor is your only choice and next to that would be a teaching profession in a college.... maybe. My Dad was a PhD in Civil engineering and had voluntarily left the Govt job to join teaching citing corruption in the government sector :-). My mom had married too young and was a homemaker. She was very clear about what she wanted her 3 daughters to be and it was definitely not to be a home maker. Sorry mom, I am one now! I was under 18 and hence didn't qualify to write the medical entrance the first time around and hence engineering was it for me. BTW, I didn't get in the first time around and wrote the entrance a second time. During that one year I tried my hands on Physics Honors at the nearby college. I was so relieved when I found out that I got through engineering, because Classical Mechanics was just about the most ridiculous theoretical Physics course I had encountered and was sure to flunk in that subject! As for what I wanted to be when I was a kid, I don;t remember having a specific profession in mind, but as I was nearing the end of engineering I wanted to become a teacher! I know most of you would wonder how that could be considering our experiences with our professors! But I admire those who are exceptions in their fields and I think I wished to be one of them. However, REC Rkl hadn't prepared us to teach anything :-). And I wanted to get a Mtech and then a PhD to become a professor! But my dad by then almost at the end of his teaching career was disgusted with the University Politics and the lack of respect from the society for the teaching profession and clearly told me to choose a career in corporation and not in teaching! So, that was the end to my career plan for MTech and I chose to do MS in the US. Even after 25 years I think Burla still remains an education obsessed town that is totally oblivious to children's talents and interests other than their math/science test scores. Your dad came one full circle in life to provide you some career advice :-). I have very fond memories of Burla during a couple of visits there. So, the university doesn't offer other courses - in arts and sciences? "Classical Mechanics" - sounds lovely:-)!! Now, you may have avoided subjects like those but the lesser mortals like us had to still endure them. "Applied Mechanics", "Applied Thermodynamics", "Applied Geology"...and what not. There was a subject on "Refractories and bricks" or something, I remember! @Sunanda Mishra, nice to see you here. You have many interesting things to say, wonder why you are not seen in the REC-93 WApp group. I had always wanted to become one of the countries best electrical engineer and work for ISRO ...that's the reason I took Electrical Engineering at REC Rourkela !! The best decision I had ever made !! You were always a dreamer and no wonder you are living your dreams in the U.S. Really happy for you. Nice...nice Gautham! ISRO?? Thief! You never told us about it till today! ISRO launched a zillion satellites a few months ago - you think that would have been possible with you? :-)). But seriously...ISRO's loss is the farmers' gain. Let me tell you that you are "one of the country's best" at what you do, even now! So, keep on it! @Puttindies, by now the general consensus, barring a few like @Gauthaman, is that they just stumbled into REC in obfuscation. Hope I have spelt it right. Remember having read it up in Baron's. Well then, think up some other interesting topics for discussion like the Syrian crisis or the future of North Korea etc. Arre...wait wait yaar! Abhi to party shuru hui hai. I was given the choice between Engineering and MEDICINE by the head honcho. He always wanted to a doctor in the family and my two elder brothers had picked engineering and armed force. So, he made me take biology and maths in 11th. Our next door neighbor was "doctor uncle". He was one of the doctor in the entire Railway Colony who was also a bachelor. He was very well known in Railways Hospital's nurse hostel. He also own two big dogs and was an ex-ranji player. 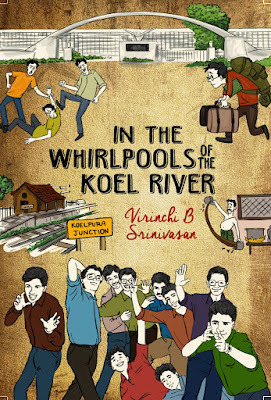 To summarize, he was the idol of all 11th grader of the reputed Kendriya Vidyalaya next to train station in Maligaon, Guwahati. So, One day I had enough courage to walk into his clinic and ask him about what I should do after 12th. He listened to me patiently and then spoke.. Beta, do you want to enjoy life or do you want your kids to enjoy life? Look at me, I am 45 years old and still studying. It took me 10 years to complete my schooling and another 5 to setup my practice. As a doctor you'll make money for your kids to enjoy. In Engineering, you'll be done in 4-6 years. After that it was all about Agarwal Classes and Brilliant Tutorial for me. My dad's dream was fulfilled by my lil sis who did become a Doctor. Nice one :-))). So, he was literally your age (happy birthday, btw!!) when you gave that advice. Be careful what you advice kids :-)!!! Incidentally, Samir, I had a similar incident during the REC counseling. My influential cousin in Trichy, in order to convince me to take Metallurgy (which I did not want), took me to a person he knew in the Metallurgical department there - "one of the best in India", he said. The guy did a complete turnaround. He said "what do you want to do taking these "earthly" subjects like Metallurgy? Just go with the flow...Information systems seems modern. Go for it!" My cousin was totally shocked! It is another matter that, I still stuck to metallurgical engineering, for other reasons; destiny had me firmly tied to the Iron-Carbon diagram. And Samika is the same age as i was. But, I am not giving her any advice.. :) I did have to take all the medicine tests (AIIMS, BHU, and CMC) and flunked all of them. I see the "sheep" aspect now (after Amir Khan told us how we did it wrong) but back then it was nowhere in my mind. So for me the choice of engineering was probably a combination of three things. Firstly the time in high school (or junior college as it is in Mumbai), I was surrounded by extremely focused individuals who seemed to know what they were doing (I would pass by Mithibai college every day and wonder why I wasn't there - folks from Mumbai will know). So this gave me some ideas (or maybe eliminated some ideas before they could be considered). Then there was this need to prove that I was capable of something and what better way to do it than get into an engineering school, right? "Tumse na ho payega beta" - something no one really told me straight up but a thought that I'm sure my parents and their friends shared. Actually not a bad conclusion to draw by anyone familiar with my early/middle school results. And finally there was this moment of clarity I had between the months of April and June '89. Something that I have rarely had since. All of this culminated in the high I got from getting into REC Rkl. That however didn't last long. All of first semester was me second guessing myself, aided in no small amount by our seniors reminding us what we were worth. Thankfully that went by quickly. Second semester till the end of the fourth year remains one of the best times I have had in my life, thanks to some of the most wonderful and capable individuals I have ever met (and old monk). All you guys always seemed to have so much fun yet did so well in the tests. I have a huge respect for all you that went through the "real" engineering programs (CS has a bit of an identity crisis as it tries to find its place between engineering and math). If I had to go through courses like fluid mechanics, thermodynamics I would probably still be there. If I were graduating high school today what would I do? Probably the same thing (Amir Khan's disapproval notwithstanding). My only regret is that our courses were very fixed step and we didn't have options to experiment with other topics of choice (who in their right minds thought carpentry, foundry should me mandatory classes). Other than that it was too precious of a time to not have experienced. Love it Randy! Great point on "moment of clarity" - we all have that in pockets in our lives, isn't it? Not for too long though :-)! I understand your grouse about not studying "real" engineering ;-). Chalta hai...maybe next time. But trust me, when you have to study subjects like "Foundry engineering", "Heat Mass & Momentum Transfer", and "X Ray & Metal Physics", you start questioning the purpose of life, as the classes move like a majestic snail, as in an Adoor Gopalakrishnan movie. Because thats the only way to survive back home. Atleast that what i thought. Have had to endure two years of tough hostel life to get there. The system makes it so tough, you felt triumphant once you get there.. I think many people choose engineering to satisfy an innate urge to show your mettle to others.. pardon me to finish in tamil. "What led me to engineering? Was it physics or was it chemistry? Neither, but a need for a salary"
Coming from a family of doctors around me, I was pretty clear on one thing - I am NOT becoming a doctor! I was clear when i entered +2 Science and did not choose Biology at all. This was the biggest decisive decision a 14-year old can take and i did that. However, there were not many options left after that once you take out Medical from your list. I had couple of friends who were smart during that age and choose to pursue general science or arts subjects. They had a vision of something other than Engineering or Medicine - Mostly Administrative Services. I had an aversion to IAS/Banking exams - i just could not understand the long preparation struggle to crack those exams...May be i took the easy path! & I do not regret my decision! Great Anil!! Thanks for sharing!! Your choice on biology so resonates with me :-)!! I envy those people that have that "vision", as you pointed out at that early age. I remember one of my friends that had decided to get into hotel management, very early on his life. He is very successful now...and importantly, I am sure, doing something he always wanted to do. That must amount for something. Looking forward to hearing more stories from you! I was a Daddy's daughter ever since I was born. I idolise my Dad in every sense of the word. He is an engineer. So I HAD TO be one. Period. Besides, I hated the sight of blood, enough to quit biology soon after 10th grade. In 10th grade, I also battled with an unusual career choice - Dance!! My Guruji saw enough potential in me to make me want to pursue Bharatnatyam full-time. However, between aching legs (from hours of dance practice) and a throbbing head (from hours of studying for 10th boards), I decided to live with the latter. Purely for ROI reasons. Of course, my parents had a big say in the matter. Back to engg, IMHO, an engineers true worth lies in R&D, in complex shop floor executions etc. From that standpoint, I am a clear case of a mismatch between aspiration Vs. capability. The closest I should've gone to was a B.Arch, which would've satisfied my creative urges and logical bent of mind in one go. Which, surprisingly, is what I wanted to be in 12th grade. An Architect. Even said that in my graduation speech. However, my dad asked me to choose a 'better branch', in commensurate with my so-so rankings. And something which would complete in 4 and not 5 years. My fate was sealed on that day. Today, if the genie asked me for a wish to redo my life, I would still opt for a B. Arch. I so wish I had the courage to execute my clarity in thought back then. Sigh! Wow! @ Ritu, well written. I guess most girls are daddy's daughters. Well, you have mentioned that your parents had a big role in your career choices. It would be interesting to know how you would deal with your child's career decisions. I studied architecture one year before quitting and coming to RECR. After 12th grade, landed in Architecture purely because I had a lower rank in JEE. I joined a local engineering college in BBSR to prep for next year. Architecture seemed like a safe choice. It was a love-hate relationship with Architecture subjects. While some subjects I did extremely well and loved it such as Architectural designs, representations , certain other subjects where I had to draw free hand sketches, create models, I absolutely hated. By the end of second semester, I was sure I am not cut out to be an Architect...my destiny is somewhere else!! Born & brought up in a middle class family in a small town in north east part of India, growing amidst scholars & educationalists in the University campus, parents were professors – Dad in Statistics and Mom in Biology – there was no other discussion other than studies and how one can achieve and excel in life only by studying more & more�� Everything else was “extra-curricular” and pursued only if you are not good in studies or you can be allowed those as long as those did not affect your grades in academics in any way! So subconsciously one was driven towards academics as the only route to success in life! What did I want? Well, as far as I remember I don’t think I had any great ambition during my early years. Yes, I had dreams, day dreaming most of the time, imagining myself as many characters, role playing in my head and wishing I would be those when I grow up! Performing arts did interest me a lot but being the introvert and shy type, never had the guts to go out and try. Had severe stage fright! In 8th Grade I fell in love with Shakespeare and seriously thought of pursing English literature and becoming a writer. But that remained a dream, didn’t pursue anything on that front eventually. In those days, if you are a science student then you do Engineering or Medicine or do BSc/MSc/PhD and go for teaching profession. Those are the only options we knew. My Uncle who is a doctor discouraged me to join medicine. His reason was, it takes too long to establish and especially for girls it’s more tough since it delays “settling down!” and by that he meant one would end up getting married & having a family late! I wanted to revolt and just to counter his reasoning I would have actually joined medical but then I had my own weakness as well. I can’t handle people when they are in pain and suffering, would have fainted at the sight of injury or broken bones, not good to have such doctors around. So that left me with engineering or then pursing pure science/bio science. My parents were keen on me going with the latter, doing my masters and PhD and becoming a professor. But somehow I never wanted to get into teaching profession. Not sure why, no logical reasoning but just that it didn’t interest me. Alas, my parents wish remained unfulfilled as finally I decided then to join engineering leaving the other 2 options. And there I was at REC RKL, amidst all of you, spending the best 4 years of my life! Today if I look back is there something I would like to change? Among the 3 options that I had, I would still have gone mostly with engineering but one thing I regret very much is not pursuing on performing arts or literature. If not as main career but at least pursuing for the love of it would have been wonderful and who knows, might have given me an alternate career option! Great Soma!! Tell you what...this blog is turning out into a treasure trove of stories about people with diverse backgrounds...and how they landed at the same place ! Shakespeare, eh? Nice :-)! And writing...you are already doing a great job! You must pursue that as a passion! To start with, it goes way back to my 8th grade when computer (yes, those big TV boxes hooked on to long wires and those computers were more precious than gold ornaments). It fascinated me and all that I wanted to do was "Computer Engineering" I had no damn clue at that time. All I thought was if I do computer Engineering, I would be doing typing something and computer will resolve everything. As man proposes, God disposes. With the result announced, did get engineering into home town PEC college but got Civil Engineering. Joined the college hesitantly but with the hope that I can change my branch to COMPUTER Engineering (I keep repeating it as that name itself sounds funny as if it is making/fixing computers). Though my friends had applied to NIT counseling, I did not due to home town love and granny pressure. But my friends forced me to mail the counseling form which I did on very last day of mailing. TADA, I did get invited for NIT counseling. Story continues.. While at counseling, realized (did not do home work before) that there is ONLY ONE Computer Sc & Engg for my whole state across all NITs in India. I was 4th in the row. As Computer Engineering was new, the very first candidate picked Electronics, second one went to Electrical and there came the twist of third candidate. The third one wanted Computer Engineering while his dad wanted him to pick Mechanical. There was tiff discussion happening before me. I was praying to ALL gods of all continents that he should pick Mechanical. (Long Live my friend wherever you are). He ended up picking Mechanical and me there within few nano seconds, got the ONE & ONLY ONE computer science across NITs for my home state. Twist continues. My family did not want me to leave to Rourkela and were still pressurizing me to stay with Civil in hometown as none of my family or me had any clue of this location, language, etc. All I had in my mind is "COMPUTER ENGINEERING COMPUTER ENGINEERING COMPUTER ENGINEERING". After major debate and argument, I walked out of the house alone with a brief case, took a bus, multiple trains (again no clue which train goes where, when, etc) and reached Rourkela at wee hours to fulfill my COMPUTER ENGINEERING DREAM. I am not sure what I learnt, how much it applies to my current world professionally and personally, but feel glad that my 8th Standard dream of COMPUTER ENGINEER did come true. In Summary, you could say I am a persuasive but luckily COMPUTER ENGINEERING ENGINEER (the actual branch was Computer Science & Engineering). "SET A=1, SET B=2, C=A+B, PRINT C". Did you get a syntax error for missing out a "LET" statement? Unless you were using MS Basic or later. The whole world conspired to make you the computer engineering engineer that you are and realize your eighth standard dream, Abou!! P.S. although, as you know computer science and engineering is really not "engineering". You walked out of your house after an argument and headed for Rourkela!! That needed guts man.